Point2 Homes gives you far more than a simple list of houses for sale. Get instant access to a lot of relevant information about Brampton, ON real estate, including property descriptions, virtual tours, maps and photos. The search results pages also have a wealth of information on Brampton, ON, if you scroll all the way down. There are 992 houses for sale in Brampton, ON. Searching homes for sale in Brampton, ON has never been more convenient. 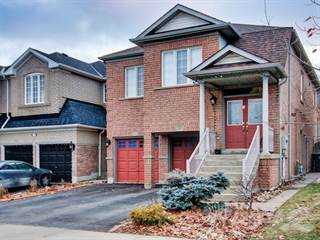 With Point2 Homes, you can easily browse through Brampton, ON single family homes for sale, townhomes, condos and commercial properties, and quickly get a general perspective of the real estate prices. Also, you’ll never miss a bargain if you filter listings based on house price drops in the past six months. Use the map view to find Brampton, ON homes and apartments for sale, based on amenities or city features that you may want close by. You can close in on a specific neighbourhood or area by simply drawing around them with the polygon or radius tools. Stay informed about the latest entries on the real estate market by saving your searches. This way, you get new listings in your inbox, daily or every week, based on your preferences. If you’d like to get in touch with a professional, agents are displayed next to their listings, and they’re easy to contact through the online forms. If you want more options, you can click the Tools tab and Find an Agent, and you’ll get a list of helpful and knowledgeable real estate agents in Brampton, ON. Visit the Point2 Homes blog and you can find up to date expert advice on many markets throughout Canada, regular market reports, neighbourhood scoops in cities throughout the provinces, real estate deals and useful recommendations. Brampton is a city in the province of Ontario, and has a population of about 524,000 people. It has an area of 266.71 kilometers and it is located between the neighbouring cities Mississauga, Caledon and Vaughan. Brampton is considered as part of the Peel Region, a regional municipality made up of Brampton, Mississauga and Caledon. It is known as "The Flower Town of Canada" because of its greenhouse industry. The top industries in Brampton are advanced manufacturing, retail administration and information and communications technologies. Manufacturing is by far the largest sector, accounting for over 22% of all jobs. Brampton is located in a great location with access to main methods of transportation. With a young, multi-cultural labour force who are strongly educated, Brampton has a great economic advantage. With over 8,000 businesses, there are over 150,000 people employed. The top employers in Brampton are Rogers Communication, FCA Canada and Loblaw Companies Limited. Brampton offers plenty of entertainment for every individual. There is a plethora of places to experience the arts, which is highly encouraged here. Along with art galleries, they have projects such as the Graffiti Project to create positive messages and eliminate vandalism. There is also a Public Art Tour, where you guide yourself along the streets of Brampton to experience breathtaking works of art. Brampton hosts many festivals and events as well. Events to celebrate Canada Day, New Year’s Eve, and cultural events are held annually. Brampton also has a celebration to kick off summer called CeleBRAMPTON, which is free and includes live entertainment, a Kid's Zone and a free barbeque. Brampton also has plenty of nightlife to enjoy. Along with bars and clubs, there are outdoor movies and venues that host sporting events and concerts. At the end of the year there are horse-drawn carriage rides to showcase the streets of Brampton in a unique way, as well as the opportunity for skating. There are plenty of activities to pique the interest of all who visit or reside in Brampton. Brampton is made up of five different sections. These sections are: Central Brampton, Brampton North, Brampton East, Brampton West and Brampton South. Each section has its own unique amenities and features. Central Brampton is the downtown area of the city where there are plenty of places to shop and dine. There are bars, markets and restaurants of all kinds located here. There are many different shops here that sell everything from clothing to jewellery to convenience stores. There are many homes in this area as well, mostly nestled into the side streets. Many families live in this area as well as different ethnic groups. Brampton North has a strong mix of commercial and residential areas. It borders the neighbouring city of Caledon. In Brampton North there are many places to shop and dine as well. This area is very multi-cultural and the commercial areas here showcase this. The residential areas are relatively newer and have become more developed within the past years. Some notable areas here include the family-oriented Springdale and Castlemore. Brampton East is home to the community of Bramalea, an older neighbourhood in Brampton. While there is plenty of residential space in this area, there are also commercial buildings such as the Bramalea City Centre. Brampton West includes the neighbourhoods of Mount Pleasant and Heart Lake. Both of these areas are family-oriented and surrounded by nature. There are many schools and shops located in Heart Lake, adding to its family nature. It is also a popular place because of it’s man made beach. Mount Pleasant is a developing community that will include both residential and commercial areas. It is becoming more and more accessible through public transit. In Brampton South, you’ll find Peel Village. This is also a family-oriented area, which features homes in close proximity to commercial buildings. Here, you’re able to walk to stores and restaurants. There are two golf courses within the community and it is close to the Lester B. Pearson International Airport. Brampton offers many different types of housing, but has a large amount of family sized homes available. Condominiums and apartments are also found here. There are spaces for rent in this city as well. In Central Brampton, there are an abundance of Victorian style homes. There are also detached homes, townhouses and apartments here. Additionally, Central Brampton has many rental spaces. The houses here are generally older and located on side streets. In Brampton North, there is an abundance of single-family homes. There are a variety of newer homes in Castlemore specifically. Many young families live in this area. Majority of the properties here are owned rather than rented. Brampton East offers many different types of housing. Here you can find family homes, apartments and condominiums. These housing options are affordable and located in very developed neighbourhoods. There are spaces for rent and for sale here, although more properties are owned. Brampton West is the perfect place to have a home within nature. The homes are large, and perfect for families who love the outdoors. The homes here are again mostly single-family homes. Almost all residents own their properties, where as a very small amount rent. 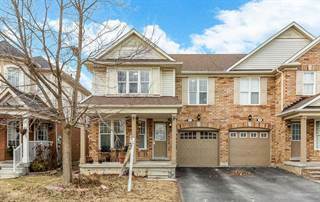 Brampton South has homes for rent and for sale in a village like setting. Here there are mostly detached homes. Homes are mostly owned in this area, but there are still some properties that are rented. Brampton's public schools are a part of the Peel District School Board. There are 111 public elementary and secondary schools in Brampton. The Peel School board boasts a 90% graduation rate and 83% of students pass the literacy test the first time. The Catholic school board is the Dufferin-Peel Catholic District School Board, which has 44 Catholic elementary and secondary schools. Schools in Brampton are ranked as some of the best in the province. There are post-secondary institutions in Brampton as well. Sheridan College is located here as well as Algoma University at Brampton. These post-secondary institutions offer many options for people looking to further their education. Brampton is located in a great location with access to main methods of transportation. With a young, multi-cultural labour force who are strongly educated, Brampton has a great economic advantage. With over 8,000 businesses, there are over 150,000 people employed. The top employers in Brampton are Rogers Communication, FCA Canada and Loblaw Companies Limited.